Be the first to hear about their new releases and deals. 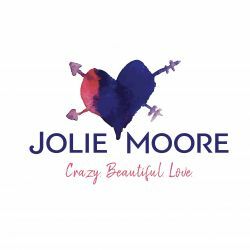 Download the Booksprout app and search for Jolie Moore today! I write crazy, beautiful love stories because I believe storytelling is magic. I love complicated heroines with secrets, strong heroes who fall hard, and a long winding road to happily ever after. I love to travel to witness the diverse tapestry of humanity. I like to photograph the beauty of the world, patronize European museums, and watch live theater everywhere I go. I live in West Hollywood, California ten miles from the nearest airport.